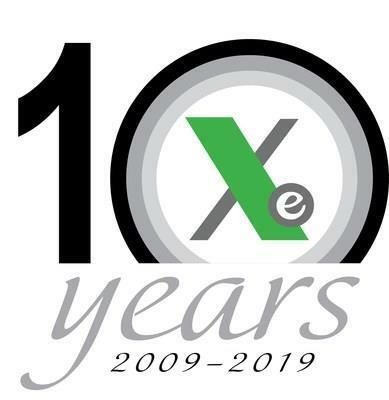 ROCKVILLE, Md., March 14, 2019 /PRNewswire/ -- X-energy announced today that the company has been invited to submit a Part II loan guarantee application by the U.S. Department of Energy's (DOE) Loan Programs Office (LPO). The invitation for the Part II application continues the company's quest to secure funding for the construction of the TRISO-X Fuel Fabrication Facility; a first-of-a-kind cross-cutting U.S. Nuclear Regulatory Commission (NRC)-licensed high assay low enriched uranium (HALEU)-based fuel facility. "We are so pleased with today's milestone as we continue to build our relationship with DOE," said X-energy's Chief Executive Officer J. Clay Sell. "Our endeavor is for TRISO-X to be the first-to-market supplier of TRISO fuel for the emerging global advanced reactor business. With advanced nuclear we have an opportunity to help improve the world by bringing this revolutionary technology to the marketplace." The completion of Phase I of the loan guarantee application process and invitation to proceed to Phase II dovetails with the company's two existing DOE Office of Nuclear Energy cooperative agreements. Under the Advanced Reactor Concept project, X-energy demonstrated TRISO-based fuel fabrication capability using commercial scale equipment at the TRISO-X Pilot Line at the Oak Ridge National Lab in Oak Ridge, TN. X-energy's second cooperative agreement focuses on the preliminary and detailed design and license application development for the TRISO-X Commercial Fuel Fabrication Facility. This effort will culminate in the submittal of a Part 70 license application to the NRC in 2021. The requested loan guarantee from DOE LPO is intended for commercialization of a TRISO-based fuel supply chain. The Innovative Energy Loan Guarantee Program administered by DOE LPO was created under Title XVII of the Energy Policy Act of 2005 to address market shortcomings and bridge the clean energy financing gap. The Program serves to overcome the great challenges that innovative nuclear, renewables and fossil energy projects face in obtaining long-term financing in the commercial marketplace. DOE LPO has $12.5 billion in loan guarantee authority available for advanced nuclear projects, which includes $2 billion specifically for front-end projects such as the TRISO-X nuclear fuel facility. X-energy intends to implement this fuel business as a Joint Venture under the name "TRISO-X, LLC". X-energy is an advanced nuclear reactor design and TRISO-based fuel fabrication company. Our high temperature gas-cooled pebble bed reactors require less time to construct, use factory-produced components, cannot melt down, and are "walk-away" safe without operator intervention.